Climate is the most influential characteristic of vineyards that affects the production and quality of grapes and wine. Regional variations in climate delineate where grapes can be grown and where superior fruit quality can be achieved. Many regions that lack ideal climatic conditions for wine grapes benefit from adoption of vineyard protection techniques. 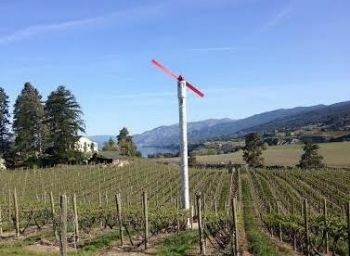 These techniques can prevent or lessen damage from weather events that bring extreme cold, heat, wind or UV exposure; or they can help to optimize vine microclimates to enhance vegetative growth and production of economic yields of mature high-quality fruit for winemaking.